COMPATIBILITY - This charger is compatible with both a 4.5x3.0mm as well as a 7.4x5.0mm charging connector. For models requiring a 7.4x5.0mm connector, we have included an adapter inside the box. 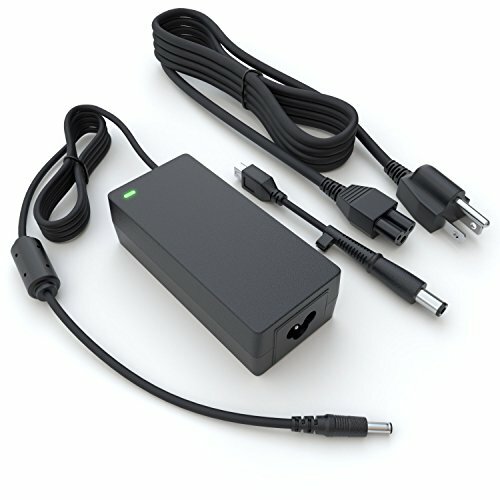 This charger is compatible with most Dell Inspiron 15-5000, 15-3000, 15-7000, 11-3000, 13-5000, 13-7000, 14-3000 and 17-5000 Series laptops. If you're unsure about your purchase, send us a message or ask a question and we will happily help. OUR GUARANTEE - As an American company, headquartered in Biloxi, MS, we are proud to stand behind our products as we greatly value repeat business. That's why we offer an industry-leading return and exchange policy: Within 30 days of purchase, we offer a no-questions-asked return policy. Additionally, for two years from the date of purchase, we will exchange your product should it become defective.